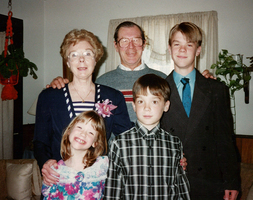 Provide comfort for the family of Anna Raab with a meaningful gesture of sympathy. ANNA M. RAAB (nee Maser), age 89, passed away peacefully at her home on March 3, 2019, surrounded by her family. Devoted wife to the late George Raab. Loving mother to Georgianne Phraner, Mark Raab, and Eleanor Giantomaso and her husband, Ray. Beloved grandmother to Charles, Brian, April and Donna and great grandmother to Matthew, Alexis and Jaxon. Relatives and friends are invited to her visitation Saturday, March 9, 2019, from 11:30am until 1:00pm, followed by services 1:00pm at LOUIS A. DiGIACOMO, FUNERAL HOME, Inc., 1055 Southampton Road, Philadelphia, Interment private. 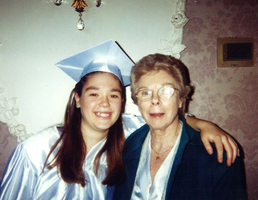 In lieu of flowers, memorial contributions in Anna’s memory can be made to Alzheimer’s Association at alz.org. www.DiGiacomoFuneralHome.com. 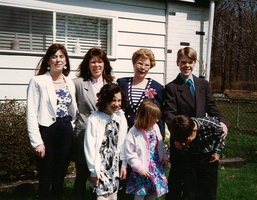 Provide comfort for the family of Anna M. Raab (Maser) by sending flowers.